We at John Hardy Music are really excited to have learned that Steel Country, a film we wrote the score for over winter 2016/17 now finally has distribution in US and UK cinema! It is being released as ‘A Dark Place’ in the states and as its original title ‘Steel Country’ in the UK. Needless to say we’re over the moon that this project will see the light of day and can’t wait to experience it on the big screen. Huge congratulations to the production team, notably director Simon Fellows and producer Gareth Ellis-Unwin for creating and supporting this project over the past years. 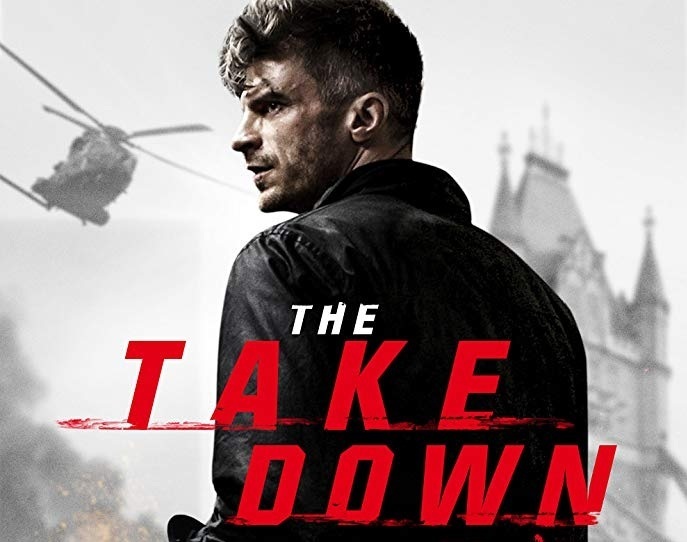 Some fab news about the thriller I wrote a score for in summer 2017 - Amber, now renamed ‘The Take Down’ has US distribution and is available to stream on Amazon Prime in the US as well as the UK. Needless to say I’m super stoked that this project has been pushed so far, and is testament to the dedication of director David Newton and producer Eloise Carrow. The film has gone from award to award at many independent film festivals, and I look forward to working with David and Eloise again soon. We at John Hardy Music had the great honour of writing for another fantastic welsh-made crime thriller. Tense and particularly disturbing, it offered us an uncommon chance to write abstract and odd music that, combined with the imagery and strong performances from the actors, created an eerie and uncomfortable drama. As usual it was a real team effort. I was comleting my score for ‘Amber’ when this project was kicking off, so Sam and Tic set the musical tone for much of the series. I joined in towards the end of the second episode, and Sam and I wrote some bizarre pieces with the hammond organ as the sonic backbone for a change of direction in episode four whilst Tic was away on another project. And of course, John’s watchful ear was never far away! We’re excited about the second series, which will be going into production in early 2019. I had the recent pleasure of working again with David Newton on his first feature production, which also happened to be my first full length solo score. A non-stop fighting thriller of a man trying to save his daughter and perhaps also himself from certain death. Created over a challengingly short period, I had little time to come up with a sound world that would compliment the style and action. At times like this it's best to turn to your strengths, though I found that with encouragement from David and Eloise Carrow (producer), I was able to turn my hand to techniques I had not used before but which made it into the final score. Similar sounds to that of Hans Zimmer's score for 'Dunkirk' can be heard, which blend very well with my usual mix of live instrumentation and detailed programmed virtual instruments. It was premiered at Raindance Film Festival 2017 in London who also supported the production of the film. I look forward to working with David again, and will release a collection of music from the film soon. Through late 2016 and early 2017 I had the pleasure of being a leading force in the creation of the music for John Hardy Music's score for 'Steel Country', directed by Simon Fellows and produced by Gareth Unwin-Ellis. Writing music to accompany such fine performances from Andrew Scott and Bronagh Waugh was a unique creative experience and a real joy. We utilised some fantastic instrumental techniques together with some powerful synthetic materials to compose an, in our view, individual and characterful score whose quality and integrity matches that of the actors' performances and beautiful camerawork. We look forward to seeing it in the cinema and to being able to share some of the music with the world. The concluding series to the internationally recognised crime-noir Hinterland returns for its final instalment! Working on the program has been a joy and I, along with the rest of the team, will miss it dearly. Musically it's been a huge change again as Sam Barnes joined us and brought his own personality along, and we were all thrilled by the direction it took, keeping the flavour of the landscape but evolving with the story and characters in a fresh and beautiful way. All of us at John Hardy Music had a lot of fun working on Andrew Marr's wonderfully presented Great Scots, tracing our shared celtic musical roots and scoring Scotland's great minds with playful and dark music. I'm very happy to present my first album of folk influenced material. "Fits & Starts" was created over summer and autumn of 2015 and coincides with a huge change in my life. This album is dedicated to my once partner, Cara. The songs are all relevant to the both of us during the time before, during, and after our decision to walk the world together, but my hope is that the essences of these songs ring true for everyone as much as they did for us. Listen to the whole album while you can on the music page of this website. Written by Manon Eames (produced by JOIO in collaboration with Swansea Grand Theatre, and directed by Sara Lloyd) to celebrate the 75th anniversary of the most destructive time of the city's history. The show demanded sympathy as well as reality and was a real challenge. Hours of listening to old whistling bombs and recordings of wave upon wave of aeroplanes flying over led to a very convincing sound score, all built from noise generation and samples of masonry. Alongside the sound research, a long while was spent listening to popular songs of the era, some included in the show, but musically speaking, the only original composition consisted of several pieces for string orchestra, sparse and cold for the most part, echoing, but not hammering home, the despair and severity of the situation that the residents of Swansea found themselves in. Some examples of the music can be found on the music page of this website. An original work created by Gwyn Emberton, based on the ideas and experiences of what a rural town life is all about. Influenced and structured by Jung's work on archetypes, the piece explores a wide variety of mood and energy and tells many stories all themed around the gradually increasing conflict and a then individuation of the disparate elements or dancers. It was a fascinating project to work on. The initial research focussed heavily on sound design and replicating the world of the subconscious in sound form, but as the work matured, more and more harmonic material crept in and the score ended up in a highly emotionally charged state, beautifully balanced between structured sound and wild music. Series 2 of the critically acclaimed welsh-made detective noir Hinterland holds a feast of twists and turns, and of course some horribly dark tones of rural Wales. Working with John Hardy Music is always a pleasure, and we're really excited about this series from not only a musical perspective - where we feel we've been able to increase the musical interest from the first series - but also from a story perspective; it's really getting tense! The first episode of series 2 will air on S4C in late September, with the english language version going out on the BBC sometime early 2016. Galesa is a structured reality piece commissioned as part of the 150 Patagonia celebrations this year. Roger Williams and Lee Haven Jones of JOIO invited Tic Ashfield and me to be a part of the project, and of course we were only too willing (thought unfortunately we didn't get to go over to Argentina). The program aired on 29th July, but I'm sorry to say is no longer available to watch through S4C's online portal. Tic and I hope to have the music from the show available soon! "A roller-coaster ride through Cardiff’s nightlife as gay man in Lee breaks up with one lover and resolves never to fall in love again. All around him people are drinking too much, dancing until the early hours and getting it while they can. But when Lee receives an invitation to a friend's house-warming everything seems ripe for change, and it only takes seven hours, a bottle of vodka, and the devil on his shoulder for him to break his promise and fall back into the arms of a new admirer." I'm very much looking forward to working on this, having already worked with Roger Williams earlier this year on two other projects of his in collaboration with Lee Haven Jones. Going up in Aberystwyth Arts Centre on 17th November for a run before heading off to other venues around the country. "Mom and Me is a creative documentary that delicately challenges the familiar love story shared between a son and his mother. It is a story that reveals comedy in the everyday and misery on some other days." We (John Hardy Music) are excited about this sensitive documentary that beautifully captures a wide array of relationships in a very honest and touching manner. It was created by Irish film maker Ken Wardrop (Venom) and we expect it to air in cinemas across the US in 2016. Gwyn Emberton's adaptation of that controversial work "My People" (Caradoc Evans) is as dark and damning as the original work. The dance-theatre piece was created at and with the support of Aberystwyth Arts Centre, and has now toured the nation twice as well as performing at Edinburgh Fringe Festival this summer. The score was created in partnership with Tic Ashfield, and we all look forward to a new collaboration in early 2016.